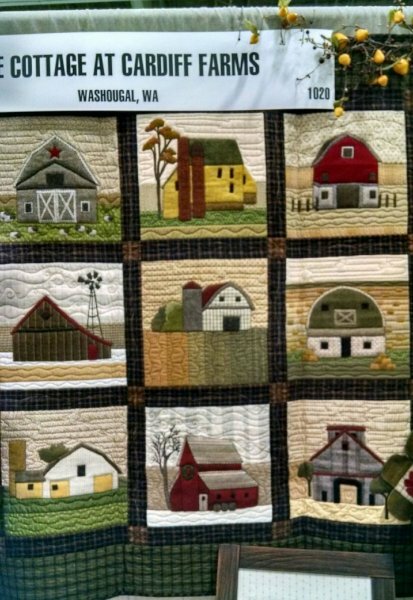 Do you love farms and barns? Do you like working with wools, but want to try something different and mix it up with cottons? 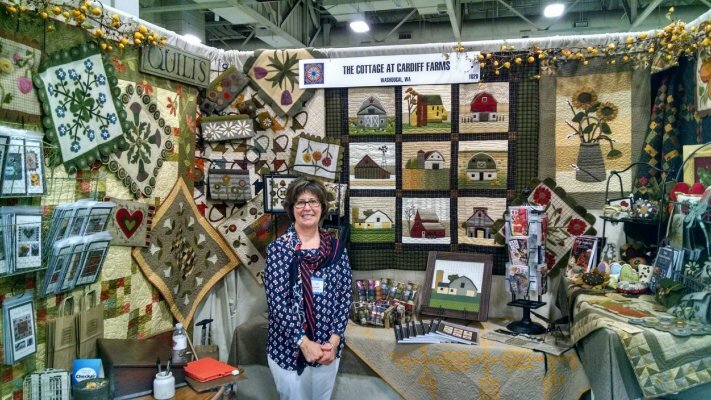 Then this block of the month quilt is for you. 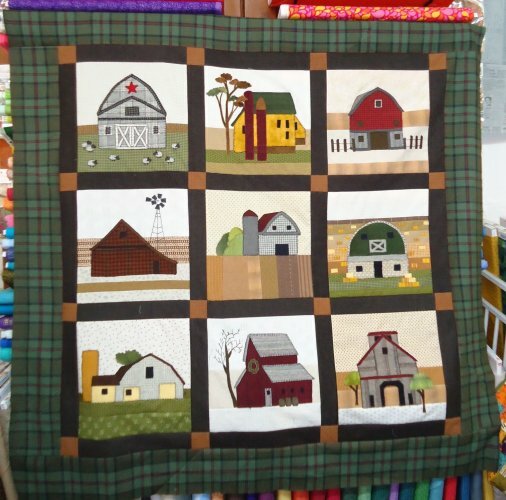 The barns are of gorgeous wools that are appliquéd onto beautiful cottons. This is a 10-month BOM program which includes all the fabric for the quilt top and binding. Book/Pattern must be purchased separately for $35.00. Fabrics will be similar in color to the those used in the original quilt pictured above.